Your smartphone means everything to you. All day long, you share your experiences with your friends. A photo, a WhatsApp message, or an update on Facebook – it's so much fun and so quick and easy! But NOT when you’re riding your bike! In traffic, you really need to focus all your attention on the road. 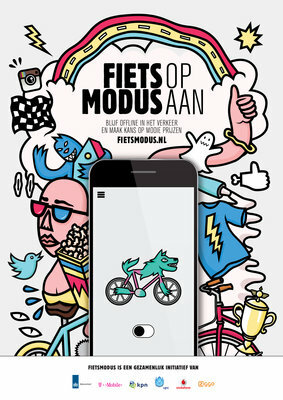 With your smartphone in Bike Mode, you’re still online, but the longer you stay away from your apps, the bigger your chance of winning one of many prizes! More and more people own a smartphone and make regular use of mobile internet applications – even when they are in traffic. This is very risky! That’s why, in 2013, we launched the ‘Social media and traffic don't go together’ campaign. It enabled motorists to see and experience that using WhatsApp, Facebook and Twitter don’t go together with safe and responsible participation in traffic. We are now communicating a similar message to young cyclists. 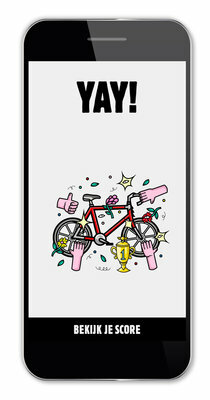 Twenty percent of all young people involved in a bike accident were using a smartphone at the time. This means hundreds of them are hurt like that every year. That’s why we want to encourage young cyclists to ride more safely. To make it appealing for young people to change their behaviour, they can win great prizes if they don’t use their smartphone while cycling. The use of smartphones should go hand in hand with safe traffic. 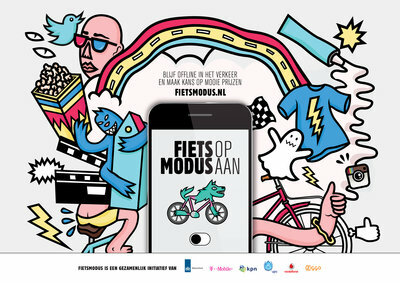 That’s why the Ministry of Infrastructure and the Environment will be working closely with the five largest telecom operators in the Dutch market KPN, T-Mobile, UPC, Vodafone and Ziggo in the ‘Watch the road’ campaign in 2014, 2015 and 2016. 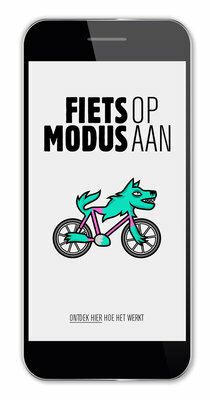 The launch of the Bike Mode app is the first result of this collaboration. 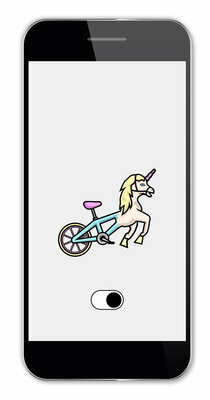 Research carried out by PanelWizard has shown that as many as 78.1% of the 12-to-21-year-olds are prepared to stop using their phones for two hours while cycling in order to save up for one of the prizes. 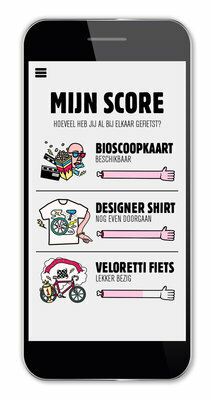 Telecom providers have made available 3,000 Pathé cinema tickets, 300 limited-edition t-shirts and 30 Veloretti bikes for the winners. Scientific research by the SWOV Institute for Road Safety Research has shown that rewarding the desired behaviour of young cyclists is likely to be more effective than discouraging risky behaviour. 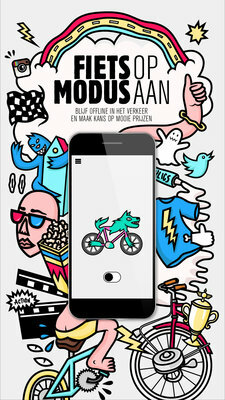 All images in the app and in communications about Bike Mode have been drawn by 25-year-old illustrator Iwan Smit.